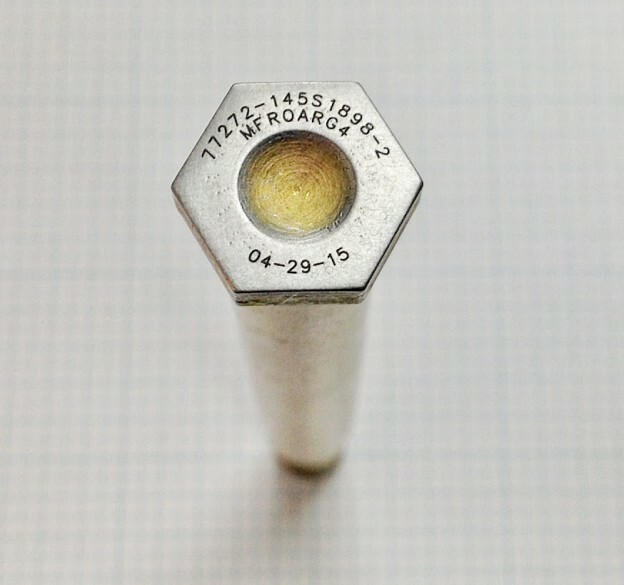 Laser Engraving / Laser Etching / Laser Marking 1/16″ high characters 0.002″ deep onto Metal Bolt per Boeing Specification BAC5307. Los Angeles, California. This entry was posted in Laser Etching / Laser Marking (Dark) and tagged Industry: Aerospace, Method: Laser Engraving, Spec: BAC 5307 on October 21, 2016 by universalmarking. 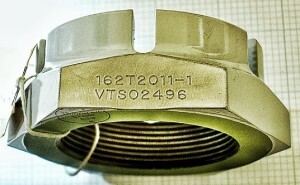 CNC Vibropeening 1/8″ high characters onto face of “LANDING GEAR PIN” per Boeing Specification BAC 5307. Los Angeles, California. This entry was posted in CNC Vibropeening / Dot Peening and tagged Industry: Aerospace, Spec: BAC 5307 on November 27, 2013 by universalmarking.